Just weeks after the IAAF extended its ban on Russian athletes from future competitions over doping allegations, MMA legend Fedor Emelianenko told RT that politics still influences sports, while clear rules for suspending athletes are needed. 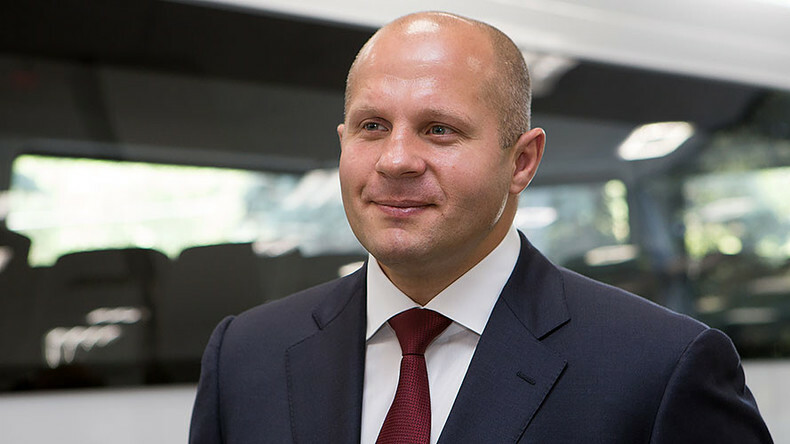 Russian MMA legend Fedor Emelianenko – otherwise known among fans as the Last Emperor – spoke exclusively with RT during his visit to Yaroslavl, where the 2017 World MMA Championships among youth (16-17 years old) is taking place, February 23-24. “Well, some say that sport is different from politics, but today we see that sport is where politics is expressed so vividly. Unfortunately, nowadays it is so, sport is being really influenced by politics,” he told RT’s Roman Kosarev, commenting on the recent decision by the IAAF. In early February, the IAAF’s governing body ruled to extend the suspension of Russian track and field athletes from international competitions over doping allegations. “It’s difficult to understand why it happens,” Emelianenko said. Emelianenko, an icon of martial arts for many in Russia and beyond, said the Russian MMA Federation is working tirelessly to ensure that all fighters are “clean” of any doping.